ASIC’s findings in respect of its review of Responsible Entities (“REs”) are contained in REPORT 528: Responsible entities’ compliance with obligations: Findings from 2016 proactive surveillance program. ASIC’s findings in respect of its review of custodians are found in REPORT 531 Review of compliance with asset holding requirements in funds management and custodial services. ASIC reported that for Report 528 it had reviewed 28 responsible entities, managing over $49 billion in scheme property across 336 schemes and for Report 531 ASIC had reviewed 21 entities, both REs and Custodians to examine the industry’s compliance with RG133 and its related class orders. In each case the entities identified for participation in the surveillances were identified using both a randomised and a risk-based profiling methodology. While the reports were specific to their terms of reference, each surveillance revealed that in ASIC’s view participants in the funds management industry should be doing more to identify, manage and report on conflicts of interest and risks. ASIC considers more is required to ensure industry participants can demonstrate a consumer-focused culture. ASIC again underlined their view that REs are the gatekeepers of significant investor funds and must, therefore, act lawfully and in the interests of the investors they represent. ASIC’s 2016-17 Corporate Plan makes clear their expectations for the conduct and behaviour of Responsible Entities, addressing and building on the issues identified in their previous surveillances. (Consumer-focus) measures that reflect a consumer-focussed culture. ASIC’s 2016-17 Corporate Plan setting out its vision of ‘What good looks like‘ for the funds management sector. ASIC’s Report 531, titled ‘Review of compliance with asset holding requirements’, reports its findings following its review of Custodians and Responsible Entities of managed investment schemes in late 2016 and early 2017. The review found that compliance with Regulatory Guide 133 ‘Managed investments and custodial or depository services: Holding assets’, which was released in 2013, “fell short of expectations” and that industry participants had a “generally poor level of understanding of the relevant requirements”. Specifically, ASIC found that some entities had inadequate compliance resources and that a majority of the sector relied on manual processes. While 80 per cent of the industry outsources custody to external providers, the remaining ‘self-custody’ entities displayed a lack of understanding of conflicts of interest that exist because of dual in-house and responsible entity and custody functions. More fundamentally, some entities with a dual responsible entity and custodial function were unable to demonstrate adequate functional separation. In addition, some entities were inadequately resourced in terms of compliance capacity, including that they did give the appropriate level of commitment and priority to the selection and monitoring of custodians. (Conflicts) entities must consider the different capacities in which they act and the consequent obligations which arise to ensure conflicts are identified and managed properly. (On-going monitoring )REs will not satisfy their obligations in respect of monitoring external custodians if they simply rely on regular compliance reports and GS007 Reports. REs must do more including regular on-site visits. (Training) Custodians and REs performing self-custody are reliant on the qualifications and skills of their custodial staff. Entities must ensure the ongoing training of their employees means they understand the requirements of holding assets. (Breach reporting) REs and Custodians must ensure they have adequate breach reporting processes, supported by good record keeping (including an up to date copy of the Custody Agreement) and governance processes. One Investment Group welcomes ASICs findings in respect of its review of Responsible Entities and Custodians in ensuring that the industry providers are operating to the standards expected of ASIC. The findings highlight the importance of a focus on compliance and undertaking practices in line with industry best practice.  One Investment Group is a provider of Responsible Entity, Trustee, Custody and Fund Administration services to Fund Managers with in excess of 250 Funds and $17 billion of funds under administration.